HAHA. This was a really good one. He has the perfect body language and facial expression. Good job. lol That’s funny. Jay’s right, he’s even got a perfect face for it! Ok, I gotta know, how did you make that R2 body? 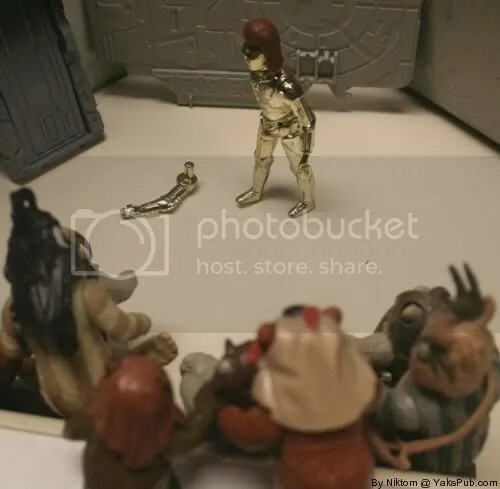 Did you just disassemble some R2? Good way to demonstrate karma. 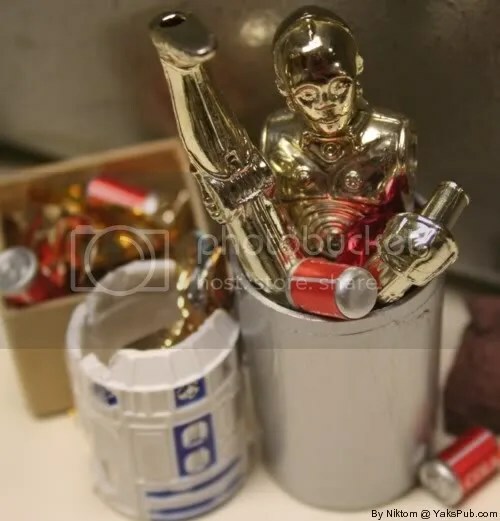 I liked the week of drunk-with-power C-3PO. Good job, Nik’. Yea I ripped apart an R2. Don’t remember which one it was though. His parts actually make many appearances. Check the archives for: Nov. 2, 17, 20 and of course this week on the 17th and 19th. He was also used for a custom Clone Trooper I made which can be seen on the new Bonus Pic Page. Just click the link over at the right under pages. Yeah, I remember him in the drunken halfnaked Luke’s and the Protocol Droid B-Ball ones… those were always pretty good.